Deborah Delk - A dual resident of Chicago and Atlanta...Delk, who always carries her love for her fellow servicemen and women on and off the stage (former army vet). Delk in one hand holds a degree in Nursing from Emory University, and in the other hand a BIG FAT NEEDLE! She believes laughter is the medicine that cures all and has the perfect blend from her past profession in nursing to now. She is the CEO of Right 2 Laugh LLC in Atlanta GA providing quality entertainment for ages 9 to 90 at affordable prices. She is an up and coming comedian and entrepreneur of �Right 2 Laugh�, she regularly appeared at �The Laughing Skull�, �The Punchline�, �Taboo 2 Bistro", "The Basement Theatre", �Munchies�, �Kats Caf�, Uptown Comedy Club, The Hollywood Improv to name a few. Deborah also performs for corporations, just recently for Automobile Acceptance Corporation, The Surgical Associates of Tennessee, In the Life Atlanta (ITLA), community fundraisers and religious organizations to name a few. 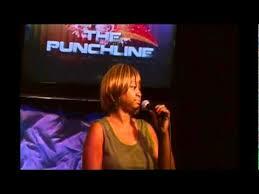 Recent interviews; The Examiner Nightlife, Humorist Magazine - Deborah was featured as the �Hottest Up and Coming Comedian 2011 by Backstage Best Comedian award. Shared the stage with Omo Tion Gardner (Tiny), Doo Doo Brown, Lavar Walker, Henry Welch, Blackboy, Reggie Regg and Barbara Carlyle. Film - appeared in the comedy horror movie �Splice 2� directed by Pierre Edwards in 2011.